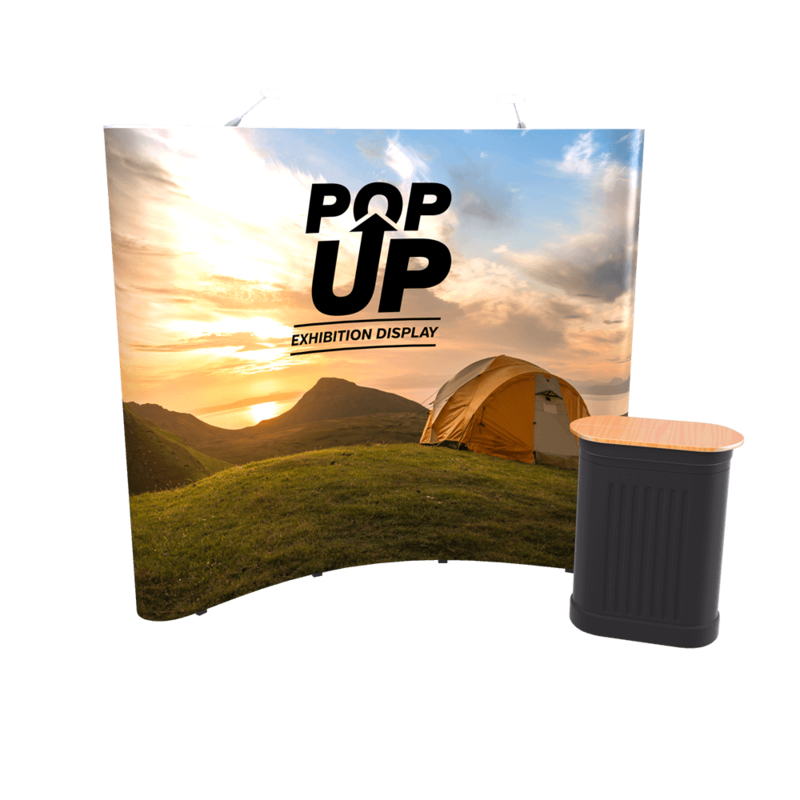 The pop-up display stand is standard at exhibitions, events and showrooms for companies looking to attract new customers, partners and investors. 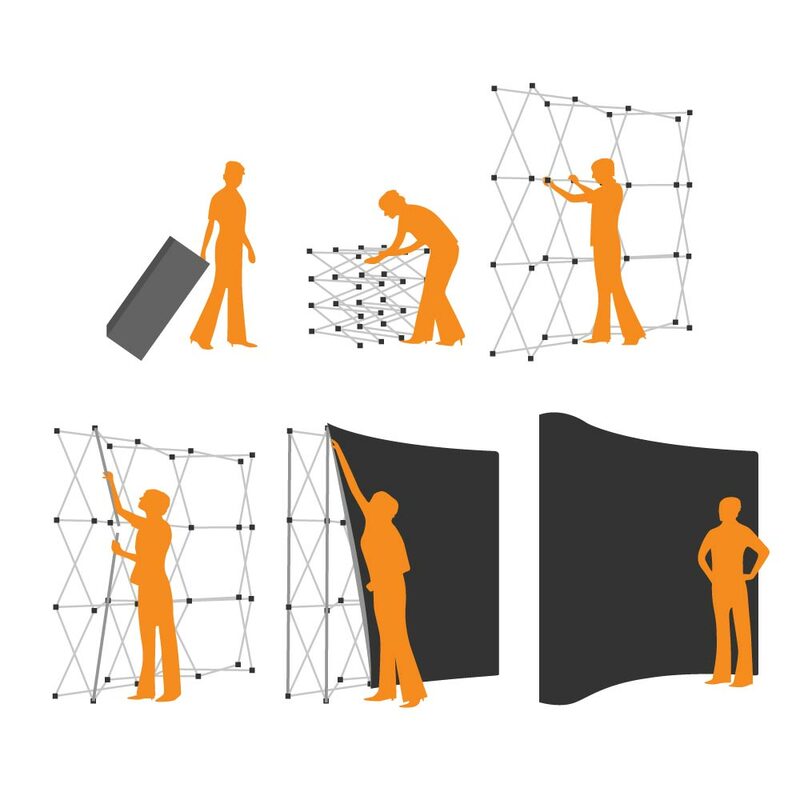 While many are single sided, with an image on one side and just blank material on the other, these curved pop-up display solutions feature the bespoke-printed graphic (split into panels) on semi-rigid, anti-scratch, light-stop, 500 micron CrystalFlex material on both sides. 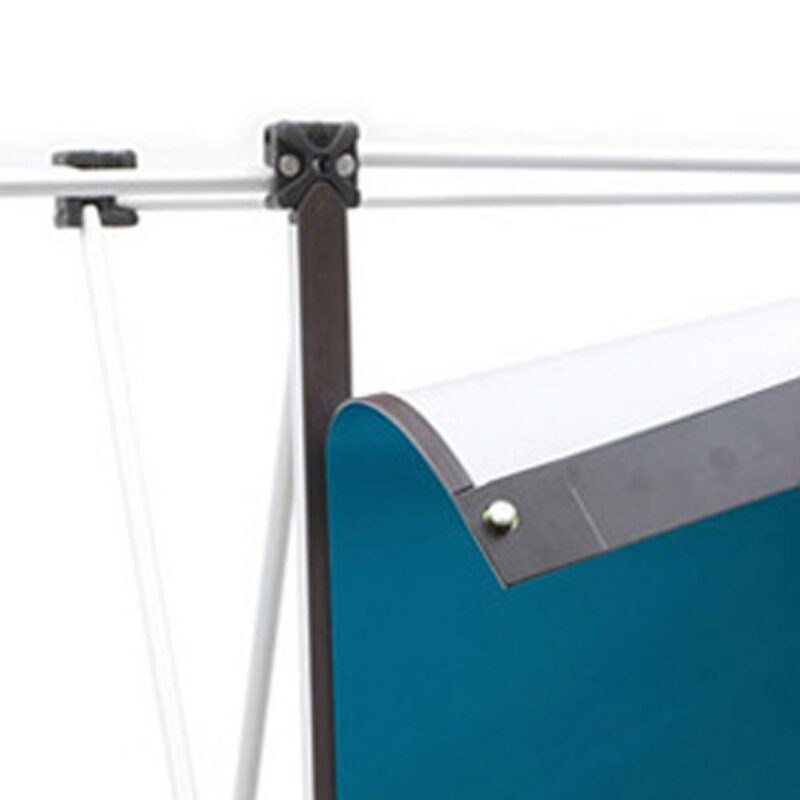 Magnetic bars come pre-fixed to your printed artwork and a moulded and wheeled carrying case is available for maximum portability. 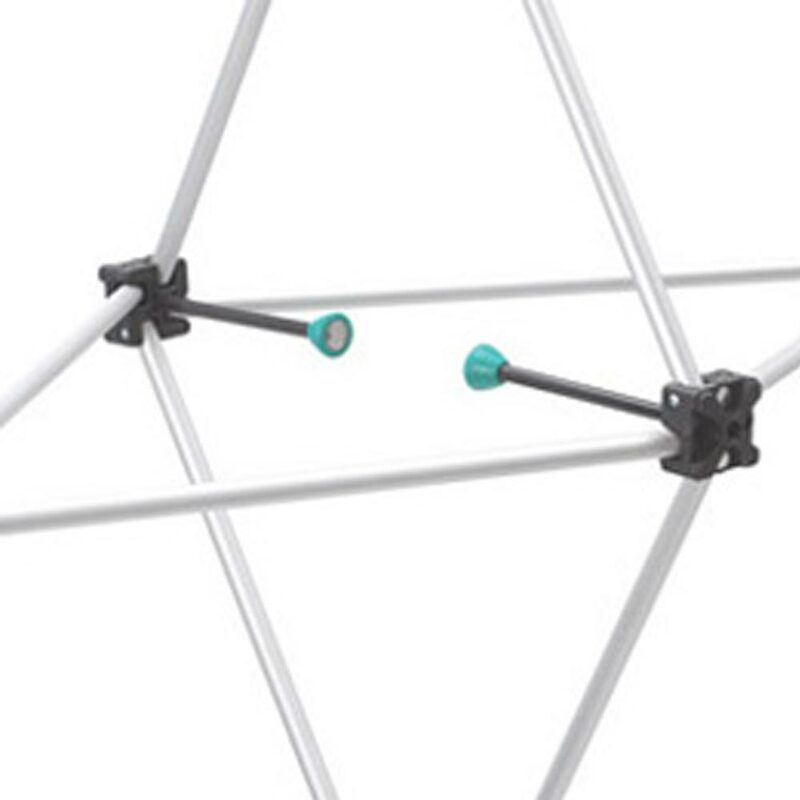 There is also a wooden table top for the carrying case and two halogen lights included with any of the five sizes available through Project Design Print.